There are various issues when you are trying to translate a scanned PDF document or text in images. If you’re looking for the easiest way to do this and haven’t had much luck, we’re not surprised. First off, you’ll have a hard time finding a free online solution or you find one but it’s not really reliable for your needs. Fortunately Wordbee’s OCR Localization can help you, and believe us, it will save you a lot of time in the future. Before I talk about Wordbee’s solution, let’s take a step back. What does OCR really mean? Optical Character Recognition or OCR software is an application that performs, you guessed it, Optical Character Recognition. 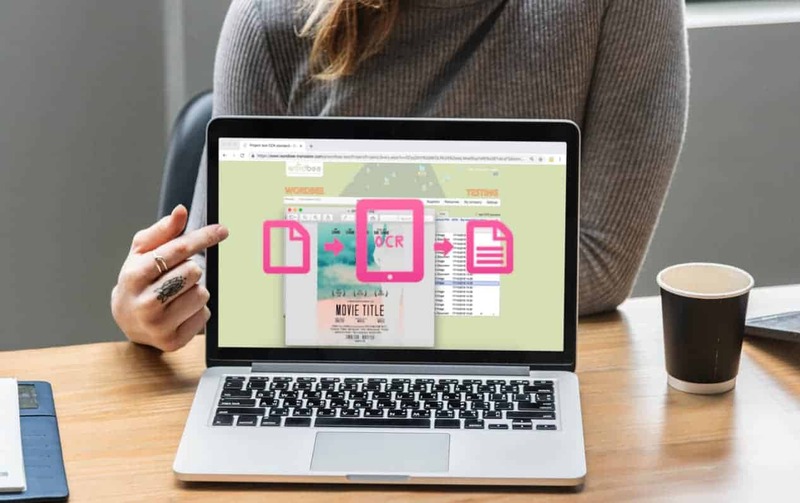 The OCR software is mostly used by translators and project managers to convert images, printed or handwritten texts like documents, invoices, forms, letters, etc. into machine-encoded text so it can be edited digitally. No need to endlessly check the internet anymore for a free tool. With Wordbee Translator you have the ability to extract text contained in images such as PNG, JPG, TIFF, ICO, BMP and many more directly into the CAT tool. Upload image files to your project, select the files and click “OCR”. The system saves the extracted text to html, and it’s ready to translate. First and foremost, you will need to select a project and open the document library. From there you can upload or drag and drop your image file. Then, you can quickly convert your imported files with one click and process them directly in the Editor. To use the OCR feature, please don’t forget to get an account and an API key from Google or Microsoft. The API key will need to be inserted in the OCR setting page before you are able to use the feature. If the PDF was created with a word processor and it is not a scan, then you can use the PDF converted tool in the project page. If the PDF contains scanned pages, then you could save the individual pages as image files. This can be done with a screenshot tool. We may add a direct PDF scan-to-text feature at a later time. Ready for more? Please click here to learn more about OCR within Wordbee Translator.